For effective content marketing, you need more than just informative text, attractive images or entertaining videos. In this article, we introduce practical tools that you can use for researching ideas, creating content, and analyzing your success. Successful content marketing can involve everything from researching current topics to analyzing content. Luckily, there’s a wide selection of online tools that should make your content marketing work easier. But, as there’s such a wide choice, it can be hard to pick out the really good tools. In this article, we give an overview of 12 practical tools that will support you every step of the way in your content marketing. 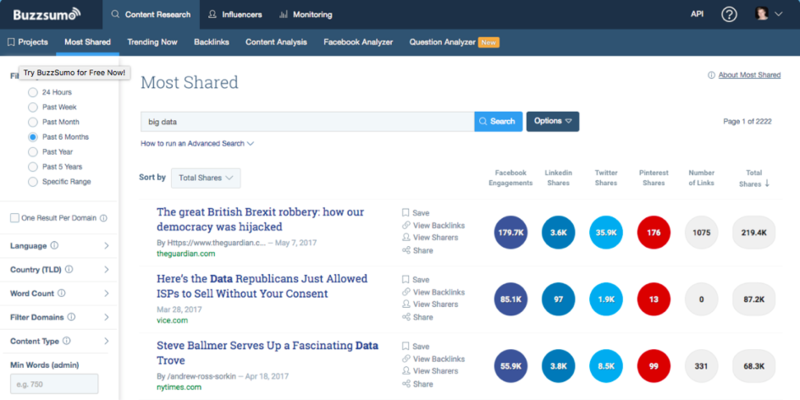 Buzzsumo can be used as a type of search engine that examines keywords for you based on their popularity in social networks. The tool provides information about which content could interest your users regarding a certain topic, and you can conduct an analysis of the most-shared content from the competition. Simply enter a certain topic or a search term to identify popular content, and the tool will list the results. This could be, for example, posts on Facebook, LinkedIn or Twitter that were liked and shared frequently, quickly providing you with an overview which topics are currently being discussed on social media channels. This can therefore help you find relevant topics for your content marketing. It could also make sense to filter according to content formats (for example, informational graphics, lists, quizzes, etc.) to find out which work best in your industry. With the 14-day free trial, you can test all functions from Buzzsumo for 2 weeks free of charge. After this, a graded pricing model will be available to you, which is geared towards the individual requirements of your company. Quora is an interesting mix between Facebook, Wikipedia, and Twitter. The structure of the tool is similar to the Facebook news feed, the follower principle was inspired by Twitter, and users are responsible for the structure and maintenance of the site as on Wikipedia. On Quora, you can select topic fields and industries during the registration process that are of interest to you and relevant for your content marketing. There is a wide range of variety available, including technology, economics, culture, environment, and nutrition. Questions and answers regarding certain topics will then be displayed on your wall depending on user behavior and reviews by others. Of course, you can also ask the community questions at any time. Quora always ensures the highest quality on its platform, for example placing value on correct spelling. 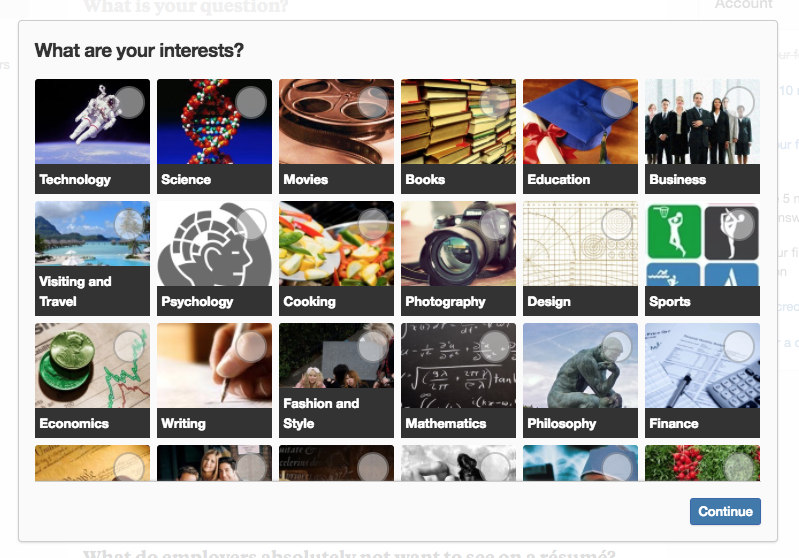 All in all, Quora is a first-class tool to find relevant topics and find inspiration when researching topics. The platform can be used free of charge, and is therefore a practical source of inspiration for any content marketer. 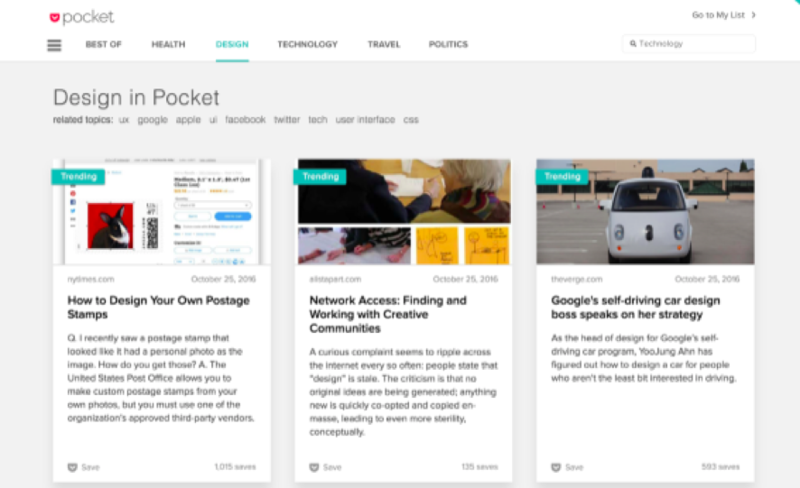 The online service Pocket is more of an organizational tool than a source of inspiration for content ideas. As the name suggests, this tool is a type of digital pocket in which you can save ideas that you find while doing research online. Pocket saves the link as well as the entire article text, and you can save content from over 1,500 apps such as Twitter, Flipboard or Pulse. Pocket is like a virtual post-it – you can temporarily save anything you want to read later. You can share the content with others, meaning that you can receive recommended articles that may help you in your search for ideas. Pocket helps in the organization and safekeeping of your content ideas, helping you to bring order into your content marketing. The best content won’t bring you much if your target group can’t find it. This is why thorough keyword research also belongs to successful content marketing. The following tools can help you in the identification of suitable keywords. This tool from Google visualizes the number of entered search terms during a certain time frame and compares it to the overall search volume, meaning that relevant keywords can be identified quickly and easily. 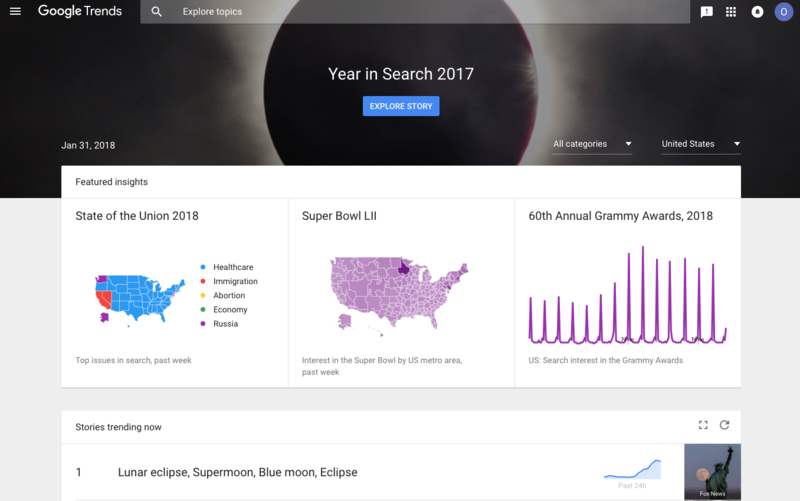 Similar to most services from Google, Google Trends is easy and intuitive to use. The analysis tool not only shows you keywords that users search for most frequently, but it’s also possible to enter individual keywords to find out how popular a certain topic was at a certain point in time. A user can use Google Trends, for example, to find out which term was searched for most often in the summer of 2017 in London, or how often the word “Election” was searched for in Munich during September 2017. Furthermore, the results can be filtered for certain time frames, regions, or categories, as well as according to different Google searches. A practical feature in Google Trends is also the comparison of different keywords. You can therefore determine, for example, which search terms are more effective and searched for more frequently online. An interesting comparison could be, for example, the development of the search terms “iOs” and “Android” over the past few years. All in all, Google Trends is a great tool for discovering keyword trends early on, and for gearing your content directly towards current search terms. Furthermore, topics that are no longer searched for online and therefore have low traffic potential can be identified and optimized with SEO. Another valuable tool that can offer support during keyword research is Ubersuggest. Similar to Google Suggest, Ubersuggest delivers all the keyword suggestions made by Google regarding the desired keywords. The search results are sorted alphabetically and different filters are available, making this tool particularly clear. You can also display keywords as a word cloud, and you can use the tool to book keywords in campaigns. In general, this free tool is ideal for obtaining an initial overview of which search terms Google believes to be relevant; however, information such as concrete search volume of keywords is not available. Figure 5: Ubersuggest finds relevant keywords. Once you’ve gathered great ideas and relevant topics, the next step is to create unique content for your users. The following tools can help you in creating successful and unique content. Ryte does not just offer you a comprehensive technical analysis of your website: with the module Content Success, it supports you in the optimization of your written content. Using the TF*IDF feature, you can quickly identify relevant keywords that you should use when creating your content. This analysis calculates the relationship between how often a term is used within a text compared to all texts; the “corpus”. If you want to rank for a certain keyword, the TF*IDF analysis therefore shows you which words are most relevant to this focus keyword, helping you to work out which terms you need to include more of to improve your website rankings. Another practical helper from Content Success module is the text assistant. Copy your text into the text box to get immediate recommendations regarding how to optimize your content for a certain keyword. The tool directly suggests terms that you should add, and terms you use too often. For successful content marketing, great images and graphics are also a must – don’t just focus on the text! Whilst photos are easy to obtain through different stock image databases, having an individual graphic creates a different impression for your users. The Canva tool makes it easy even for beginners to create their individual images in just a few minutes. Select fitting templates for Twitter, Instagram, or your blog, and put together different backgrounds, text fields, and forms into a graphic. A diverse selection of fonts and free stock images are available even in the free version. However, if you want to upload your own fonts, create corporate designs, or work together with colleagues on individual projects, you would need the Pro version of the tool. You can test this with a 30-day trial. 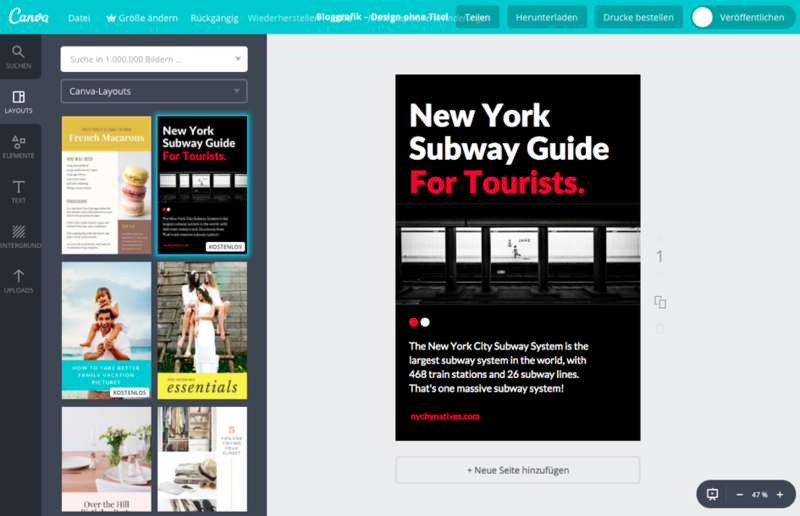 In general, Canva is a user-friendly tool that offers support for non-designers in the process of creating graphics. In addition to appealing images, informative graphics are often used in content marketing. These are particularly ideal for illustrating content in a clear and understandable manner. 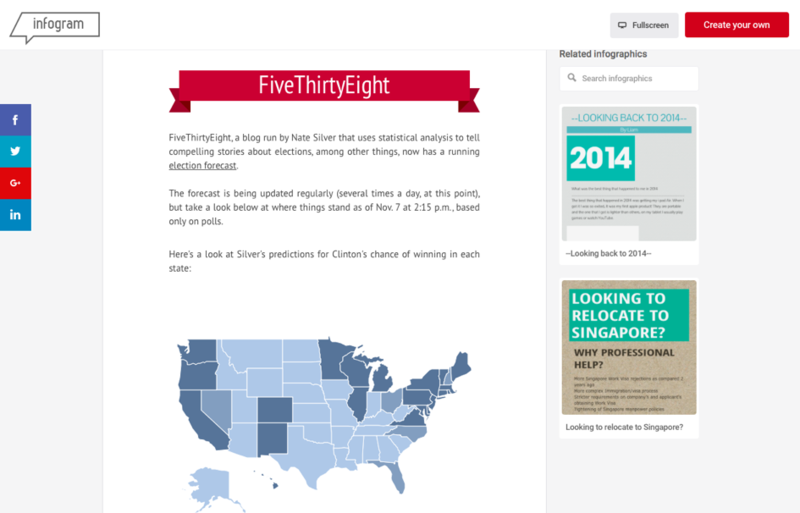 A good tool for creating infographics or diagrams is Infogr.am. A variety of templates are available, such as diagrams, cards, or visuals, that you can use to quickly and easily obtain good results. The graphics are shared publicly here similar to presentations with Slideshare. With a Pro account, you also have the possibility of personalizing your graphics by adding your logo, and you can download them. 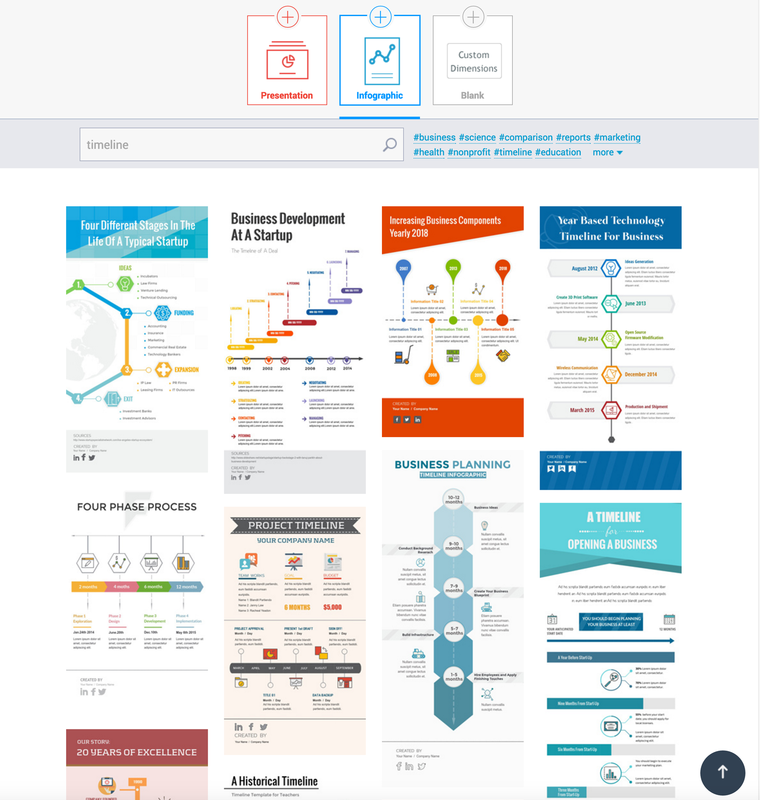 With Infog.gram, you can easily and quickly create appealing infographics. However, the limited number of pre-made templates limits creativity. Visme is a great tool for creating infographics and presentations. With its easy to use, flexible, and intuitive interface, Visme is ideal for non-designers and for content marketers who don’t have the time and luxury to spend hours creating infographics and presentations. A selection of professional templates are available, or users can start from a blank canvas. Content can be personalized in a variety of ways, choosing from a variety of over 100 fonts, adding interactivity and animation, and even attaching music or audio to projects. Templates are available, or users can add their own audio material. This tool is fully HTML5-based, meaning content is both web and mobile friendly, and content can be downloaded in all popular formats: web URL, image, PDF and HTML5 formats. New features and templates are being added constantly – look out for hundreds more templates in the coming weeks! Visme is available for free, and a premium account for added features costs just $7 dollars per month. Complete access to all features costs just $16 per month. 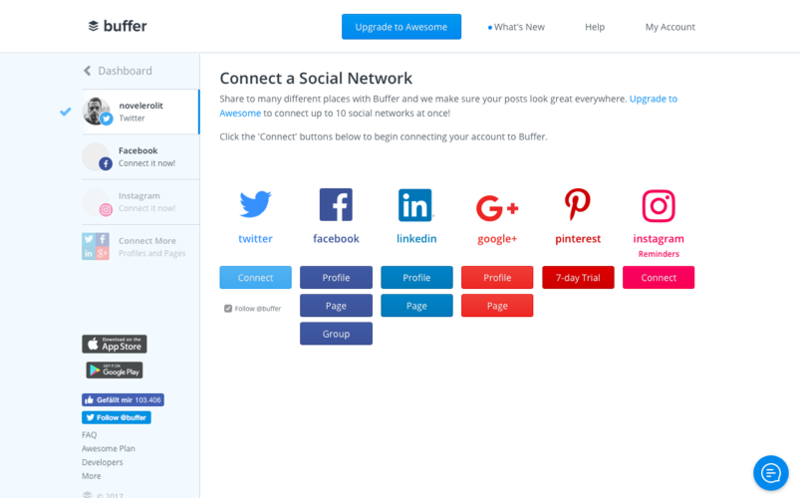 Buffer is available for free and with a paying account. 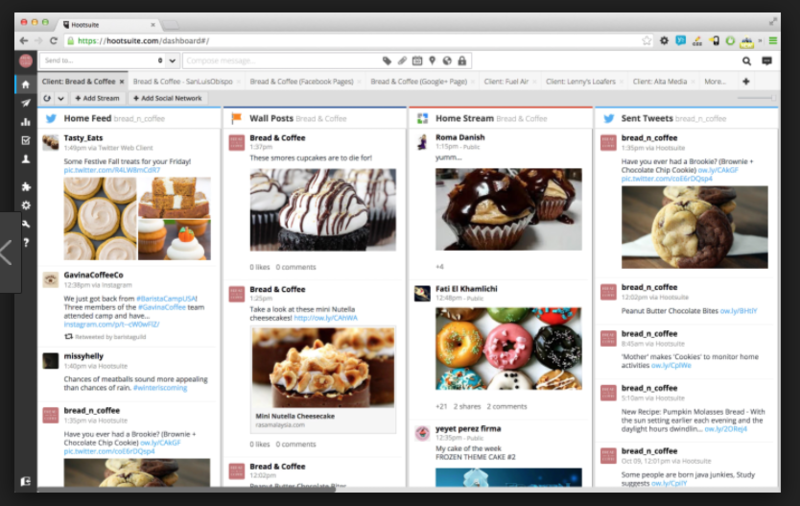 The tool distributes your content on your social media channels from Twitter and Facebook through LinkedIn to Google+. The fee-based version additionally offers Pinterest as a channel. You can use the bookmarklet for the browser to curate content, which then saves the URL of an article with the click of a mouse, and you can then post it directly. Up to ten posts can be planned in advance in the free version. The pro version is available from ten US dollars per month. With the pro account, it is not only possible to manually plan articles, but you can use automated posting. The tool analyzes your previous activities to determine the most suitable time of delivery. Buffer represents a very powerful content marketing tool, but you quickly reach your limits with the free version. At the time of its launch, Hootsuite was solely designed as a Twitter client, but the tool quickly developed into an all-rounder. Channels such as Facebook or Google+ can also be maintained simultaneously through the dashboard. Even the free version of Hootsuite has a lot to offer. You can create up to three profiles, which can always be displayed on the dashboard. If you need more than three profiles, you can maintain up to 50 social media account in the pro version for just 8 Euro per month. In addition to posting and planning content on different channels, you can also directly comment on posts, respond to comments, like and share. You can also detect topic trends using the tool. The analytics function gives you insights into the success of your posts; however, only two of the reports can be used free of charge. You can measure a number of important statistics with the comprehensive analysis tool from Google. You can measure how many users visited your site, where they came from, their session duration, bounce rate, and you can investigate the success of your activities in social media. 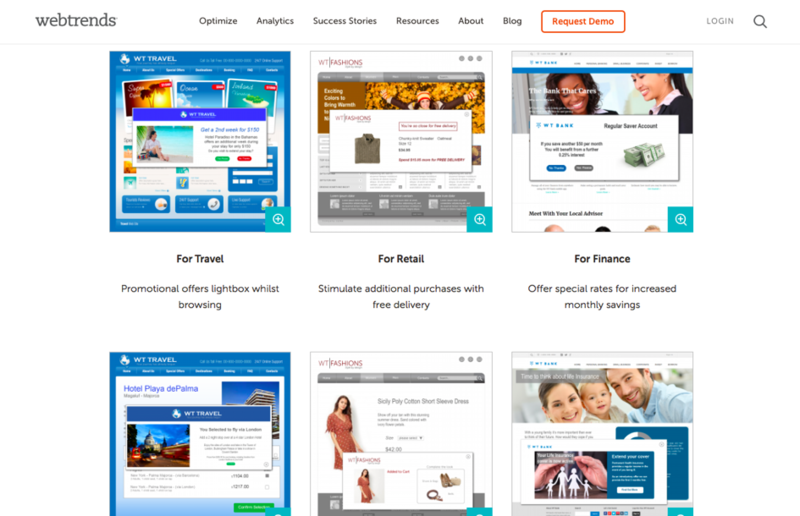 Different reports show you which areas of your website achieve the best conversions and which pages are particularly popular. You can determine your users’ path on the website with in-page analyses, and you can identify top content based on the content reports. 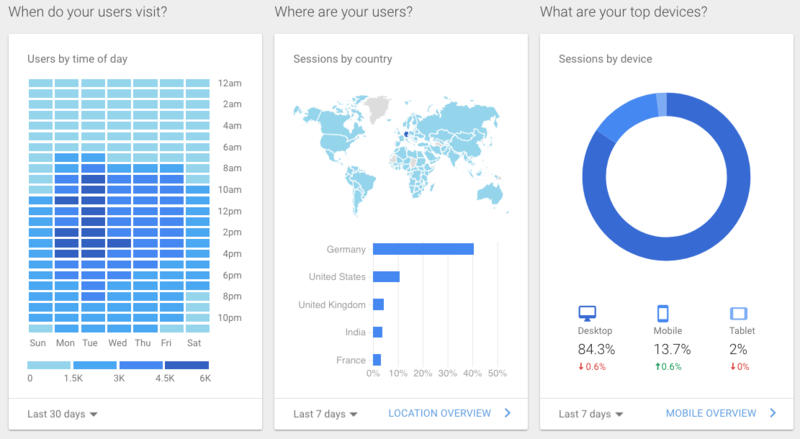 You can also determine which regions your users come from and which device they use to visit your site. There are many possibilities available in Google Analytics for investigating your users’ behavior and measuring the success of your website. You can use this knowledge to contextually optimize your website, and make it even more attractive to your users. Webtrends supports you in analyzing your website success by analyzing different data from many digital data sources. With Webtrends, you have different analysis tools at your disposal that you can use to evaluate customer data in real-time through content targeting, social media traffic analyses, or customer and visitor segmentation. Furthermore, Webtrends supports you during A/B testing to substantiate your content decisions with a relevant test basis. Webtrends can also help you determine different information about the user experience, and the comprehensive navigation analysis allows you to optimize the specific conversion rates for every single path. The individual websites for each country can also be compared within the scope of the country reports. This American tracking tool is a highly complex analysis tool with a high number of features. The monthly price, however, starts at € 135 – it is therefore more suitable if you have higher requirements. Content marking has changed dramatically over the past few years, and has developed into one of the most important disciplines in online marketing. The objective is to offer real added value to your target group via unique content to increase your conversions. Several useful tools are at your disposal for every step of your content marketing process – from research to analysis. These do not only support you in finding ideas and organizing your content, but also with the design and distribution in social networks. A perfect combination of tools creates the basis for a sustainable, successful content marketing strategy. Published on 01/31/2018 by Olivia Willson. Great article! Sometimes it’s really surprising how many tools are out there to help steer your content marketing efforts. Particularly great resources for young startups.